Erica Slaton, left, hangs out on the rug with Aubrey and Alyssa Bascom during their Healthy Families home visit. 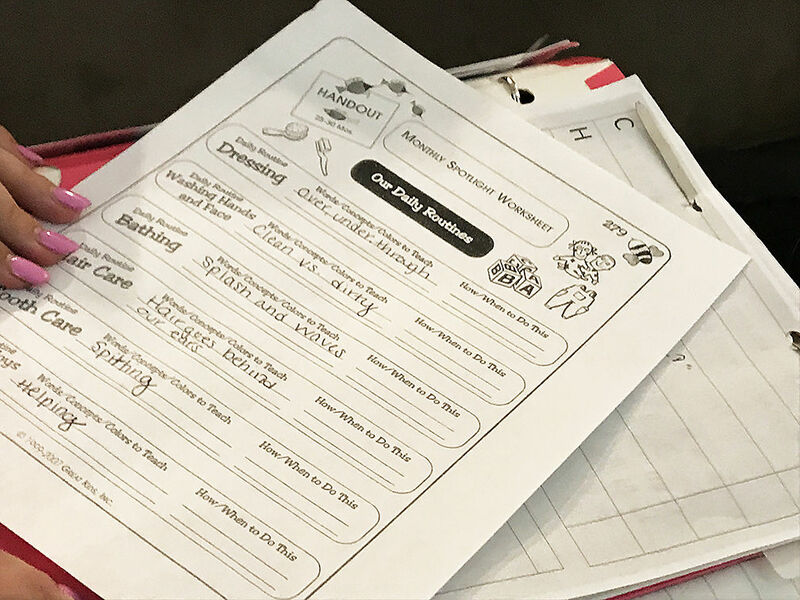 Erica Slaton goes over a worksheet outlining concepts for the Bascom family to work on between home visits during the Healthy Families program through Child & Family Resources. 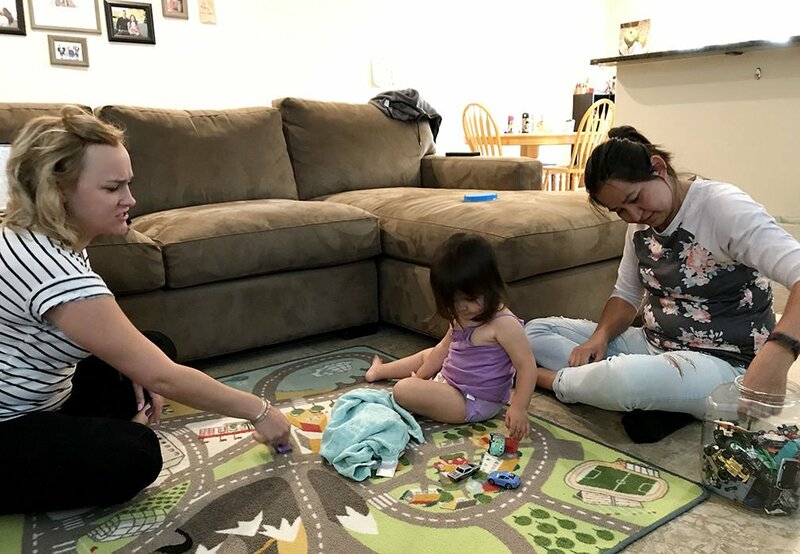 That's where she and Erica Slaton, a family support specialist from Child and Family Resources, talk about life, parenting and everything in between while playing with Alyssa's two kids Aubrey, 2, and Arya, 6. 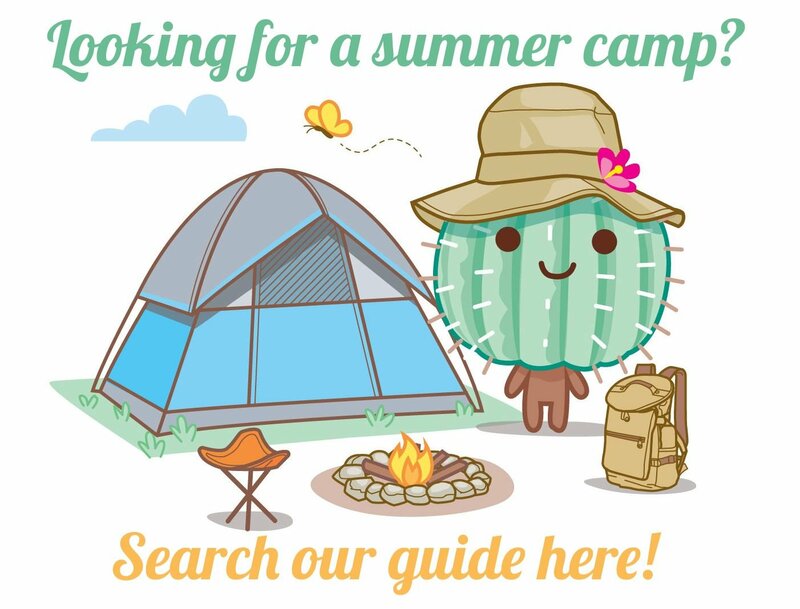 Hers is one of more than 500 Pima County families currently enrolled in the Healthy Families program through Child and Family Resources, an Arizona non-profit based in Tucson. The free in-home program provides support and education to mothers with certain risk factors — such as a history of mental health issues or economic problems — about how to be the best parent possible. Families who don't have these risk factors won't be turned away if they really want the support as long as there are enough resources, says Eric Schindler, CEO and president of Child and Family Resources. Bascom says she was interested in the program because of her family's history with mental health issues. "I was concerned about performing (as a parent) in a normal way," Bascom says. "The things my family did were not normal." Slaton has been working with the Bascom family for about a year-and-a-half and says it has been "amazing to watch their family grow in their value and strengths." At each visit, they talk about concerns and child development. Last week, the two women talked about potty training and self care. "She has a potty over here," Bascom says. "She likes to sit in it as a chair. She also pulls the catcher out and stands in the hole then screams because she's stuck." The women laugh about that for a minute and observe Aubrey and Arya playing together. The topic changes to the girls' relationship. "Every morning Aubrey walks into Arya's room and gives her a hug," Bascom says. "I love that they're doing stuff together." "That's what you've done," Slaton says. "You're encouraging being kind and doing things together." Hearing those words of affirmation are part of what makes this program so helpful for new mothers, says Liliana Valenzuela, program supervisor of the Healthy Families program. "Sometimes we don't give ourselves credit as parents. We don't have anybody say 'wow, you fed your child healthy meals today,'" Valenzuela says. "So to have somebody come in and say 'wow what an amazing job you're doing,' moms are really inspired by that and encouraged to be good parents." The Healthy Families program is just one piece of what Child and Family Resources does for Tucson families. It also offers programs for teens on pregnancy prevention and resiliency and advocates for quality early-childhood education. Teen programs are held in the form of workshops in communities and schools. "We stay away from traditional counseling for your kid," Schindler says. "We do more about community development. How can we be in the high school and the middle school to promote a better climate and community where more kids are feeling safer and have resiliency skills? That's how you prevent suicide." One program, Guy Talk, is a pregnancy prevention workshop taught by men, specifically for teens ages 14-17 who identify as male. It teaches healthy masculinity, sexual and reproductive health, consent and healthy relationships all in a fun technology-based atmosphere. It also hosts an annual conference geared toward youth ages 11-19, as well as parents and professionals. 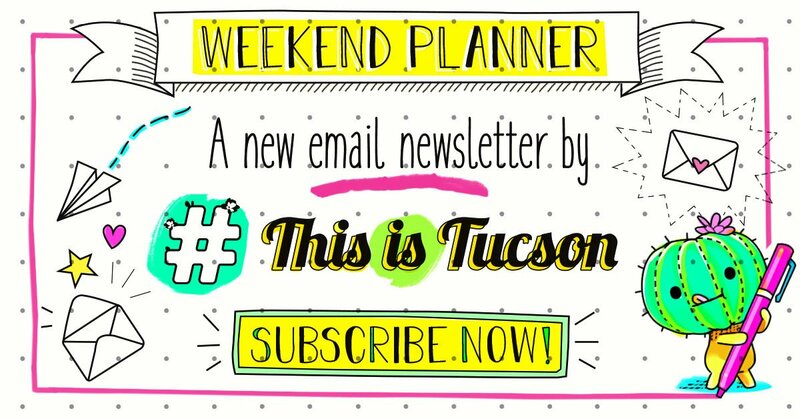 This year's conference, Redefining Safe, will be held March 29-30 at the JW Marriott Tucson Starr Pass Resort and focuses on building safe and healthy communities for youth and families. The organization advocates for quality early-childhood education in Arizona by offering programs to help childcare facilities and preschools improve their quality. It's also working to obtain funding for preschool scholarships. Following the defeat of Strong Start Tucson, a ballot measure that would have put tax money toward preschool scholarships, several local entities came together to create Pima County Preschool Investment Program with the hopes of providing 12,000 spaces for high-quality, full-day, full-year preschool for 3- and 4-year-old children in Pima County. That includes every child under 200 percent of the poverty level that wishes to attend. Now it's about getting support, Schindler says. In the meantime, Child & Family Resources is doing its part to improve the quality of learning for pre-K children with its Quality First program, which pairs coaches with child care and preschool providers to address adult-child interactions, learning environments and staff qualifications. Based on assessment scores, each center is given a Quality First star rating, ranging from one to five stars. "Nearly half of kids entering kindergarten are already behind. They may come from situations where they don't have as many resources as other kids," Schindler says. "Our agency is trying to make sure more kids can get to quality preschool by helping increase the quality of teachers." To build awareness of the organization and to raise funds, it hosts an annual lunch called Champions for Children and Families which celebrates people in the community who have done good work for children. This year, honorees include Jan Bancroft, founder of Make Way for Books and Lauren Deakin and Tai Summers of the Pima County Attorney's Office. When: April 9, 11:30 a.m. to 1:30 p.m.
Where: DoubleTree at Reid Park, 445 S. Alvernon Way. Cost: The event is free, but donations to Child & Family Resources are appreciated. Info: Go here to register. Though nothing will bring Rosaura back, Barbosa says forming this nonprofit is a way to bring her justice. She just retired from a 29-year career as a teacher. So she started a nonprofit. After nearly 40 years, the region's only freestanding birth center is moving into a new space at Tucson Medical Center.